I received a sample of Benefit's FakeUp with a recent Sephora purchase. First, I tried the Light shade. 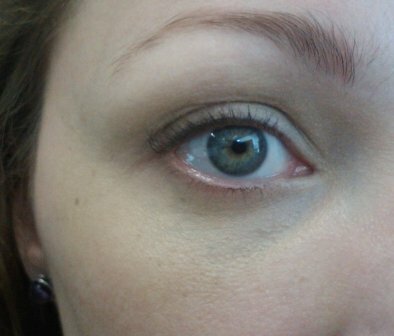 I didn't like it because it was too light, and seemed to accentuate my undereye circles. Yes, it moisturized, and yes, it looks pretty darn good in photos, but in person, I had that "reverse raccoon" effect going on. It is worth noting that this concealer photographs extremely well. My lighting changed, but otherwise, the FakeUp is the only difference between the two photos. I tried the sample several times (using tape to re-seal the blister pack), and just didn't like it. I was about to just toss the rest of the sample in the trash, but thought I'd give the Medium shade a try just for giggles. Whoa, Nelly. 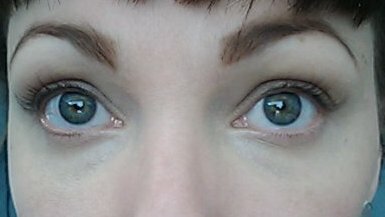 Other than the FakeUp, the only difference of the two is some mascara and I filled in my eyebrows. I was taking these shots for a different reason, and only realized afterwards the difference the FakeUp made. -Moisturizes very nicely, it reminds me of my almond oil. -The Medium shade blends my undereye area perfectly to the color of the skin on my cheek. -This concealer works well to help achieve a "dewy" look, if you don't use setting powder. -Re-applying mid-day plumps the skin back up, helping me look more awake and radiant. -It does not last all day without a setting powder. If you use a setting powder, you cannot easily re-apply it, because trying to put something liquidy over something powdery turns into a cakey mess. -It costs $24 a tube. After just reviewing 3 concealers that were all under $8, that's a bit hard to swallow. -This only comes in three shades. Overall, I like this concealer. 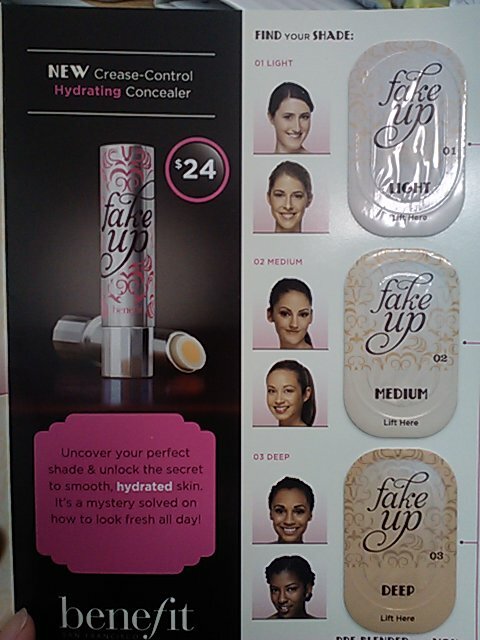 It works very well when I wear a tinted moisturizer, and it looks very nice in photos. 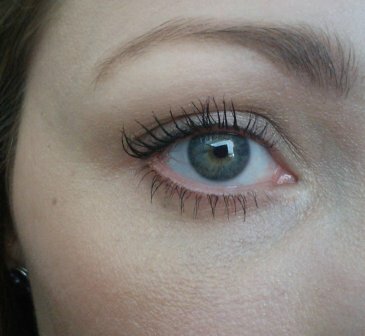 However, I have plenty of other concealers, and I feel that this photographs a bit better than it wears in real life. While I do tend to photograph myself a lot (haha! ), I'm not in a rush to buy the full-size product. If I happened to come across it on sale at 50% off? I'd definitely buy it.